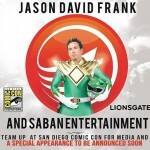 After Bandai of America had mentioned both at San Diego Comic Con 2014 and Power Morphicon 2014 that they were interested in making a more exciting exclusive for their appearances at New York Comic Con, today they revealed through the official @PowerRangers Twitter account their upcoming New York Comic Con 2014 Limited Exclusive. 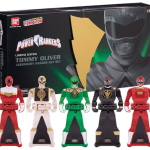 Fans of the character Tommy Oliver will be ecstatic to see an entire Power Rangers Super Megaforce Ranger Key set of all of the different Power Rangers that famed Power Rangers actor Jason David Frank has portrayed. It is important to note that all of these keys are currently available at retail. This set will be released in limited numbers and will most likely run in the $20 price range. 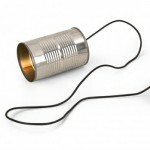 When more information comes available we will share it. We are less than three weeks away from San Diego Comic Con 2014! And every single year, more and more Power Rangers attend the show! 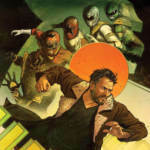 This year will be no different, with some attending on their own and others attending thanks to the Official Power Morphicon convention coming up in August! We’ve done our homework and will update our list as more guests continue to confirm their attendance. Check out the list below! Don’t forget – TokuNation.com and the Talkin Toku Podcast will be attending the show and will be on the floor before anyone else! We will be live-streaming various events and covering the entire convention for TokuNation.com as well as TFW2005.COM, ToyArk.com, and HISSTANK.COM! You can follow our entire team and all of our social media accounts for up-to-the-second updates as they happen! And don’t forget to keep an eye out on our front page as we will update our photos as we take them! We will have SO MUCH MORE on our coverage for this year’s San Diego Comic Con 2014 in the coming weeks. Stay tuned to TokuNation.com, the only site you need for all your SDCC 2014 news, updates, and live coverage! 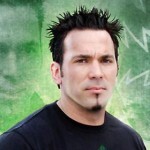 If you’re a fan of the Mighty Morphin Power Rangers then you might be interested to know that Jason David Frank, who played Tommy Oliver the Green Ranger and White Ranger in Mighty Morphin Power Rangers has released the first episode of his documentary My Morphin Life through the popular YouTube channel BatInTheSun. The video is shown below. If you’re hoping for some cool behind-the-scenes Power Rangers footage, you’ll be sad to see that there is none. And there looks to be none in the next episode. 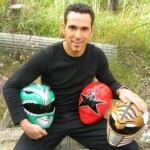 This series looks to be, for the moment, strictly about the man behind the helmet, Jason David Frank. NOTE! If you only see a black screen with audio, change the video’s resolution settings, then switch it back to what you want. This will fix the problem immediately. So what did you think? Are you going to tune in to the next episode of My Morphin Life? What could be added or removed from the show to make it better, or is it pretty awesome as is? Sound off!